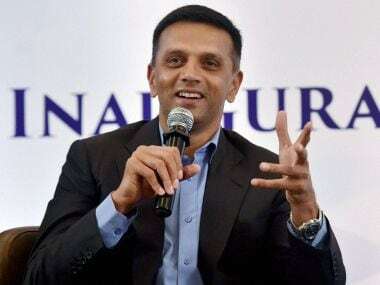 Mumbai: Batting legend Rahul Dravid on Thursday said that a settled middle order can ensure Indian Test team's success abroad. "I am very impressed with the batting talent we have and they are growing, developing as a team, they still are figuring their way out. I hope by the time India tours abroad, we will have a settled batting line up, a sort of confident and successful middle order in place," Dravid said at an event. "If you have a set middle order and the guys know and are secured in their position, I think it will give us the best chances to succeed. The potential is there to succeed in all conditions," said the former captain. Dravid was in conversation with Link Group MD John McMurtie at the 'Link Lecture Series' which was launched on Thursday. "The (current) guys (players), the way they are performing, I think it's a very good talent. It's nice thing that they have a lot of these home Test matches over the next few months," said Dravid. "(Cheteshwar) Puajra has been exceptional at number 3 after I have left. He has batted beautifully, he has played well in this series (against England). He is a terrific Test player. I hope we are going to see his best years ahead. Ajinkya Rahane has been exceptional as well. 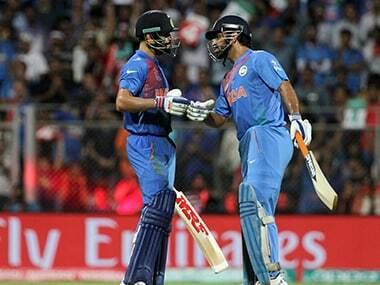 Virat (Kohli) is absolutely sensational," he said. Talking about his generation full of match-winners, Dravid said, "It was great in my generation, the sort of five players who were settled and established. There was Virender Sehwag, myself, Sachin Tendulkar, Saurav and Laxman. We were a settled line up, Gambhir for a period of time as well." On the Supreme Court-appointed Lodha Committee, Dravid said, "It's a matter that's pending in the Supreme Court, it's up to the BCCI to figure out how it works. At the end of the day, respect the decision whatever the Supreme Court decides. "I guess the Board will have to work and see, how and what of it can be implemented and how quickly it can be implemented and what can be done. Again it's something best left to the Board and people who are in administration to figure out of a way."